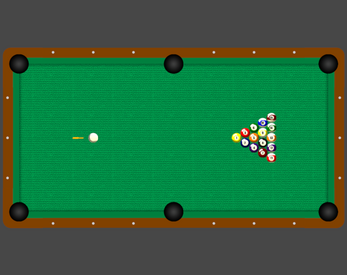 A simple pool-table. Shoot, move the balls around... play as you see fit. Unity HTML template by Sean. > L-Click and hold to charge a shot. Release to shoot. R-Click to cancel. 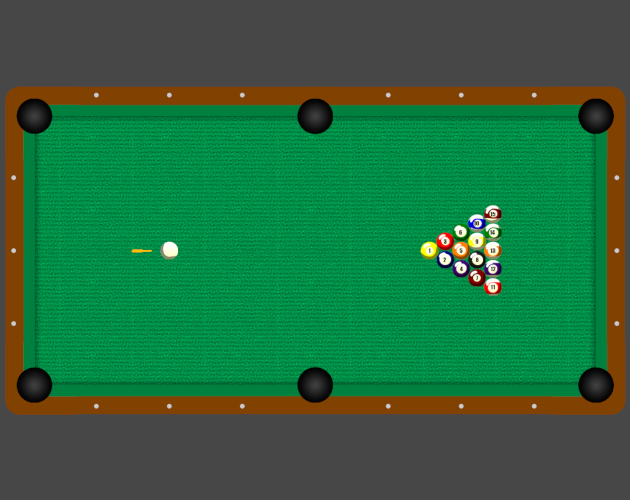 > R-Click to drag balls in and out of the table. > Hold R to restart. > Z to undo/redo the last move.